Escalate partners with a number of leading professional businesses from across the UK, including top accountants, lawyers, funders and membership bodies. All of the Escalate partner firms share the same vision and approach, which is to challenge conventional thinking and put the client first by understanding the challenges that SMEs face. We are focused on giving clients meaningful access to justice. Escalate was created for the specific purpose of removing the barriers that were preventing ‘access to justice’ for many SMEs. In doing so, we have unlocked a new market of work opportunities for the accounting and legal community. ArchOver is a peer-to-peer business lending platform offering SMEs a more flexible way to raise working capital. So far, it has helped its lenders invest nearly £100 million into British businesses. Escalate’s partnership with ArchOver strengthens its ability to provide secure loans to the SME market, helping borrowers to bring in disputed payments and enhancing security for lenders as a result. Accountants, business and financial advisers providing a full range of services with 16 regional offices across the North of England and Scotland, from Glasgow to Leeds. With a 150-year history, and ranked within the top 30 firms in the UK, Armstrong Watson supports, advises and protects generations of businesses across a wide range of sectors including agriculture, manufacturing, hospitality, tourism and healthcare. Bermans is a multi-award winning, full service commercial law firm, and a market leader in asset and invoice finance law. Their partner-led approach is underpinned by clear, uncomplicated legal advice. Bermans is recommended as a top tier law firm for debt recovery by The Legal 500 and relies on skilled, approachable lawyers who serve a national client base from their offices in Liverpool and Manchester. A leading provider of accounting, tax and business consultancy, with regional offices across the West and South West of England, from Worcester to Truro. Bishop Fleming is accredited as ‘Exceptional’ by Investor in Customers and features in The Sunday Times 'Top 100 companies to work for' survey. With over 300 staff in the UK, it offers innovative solutions to help business owners expand their businesses. An alternative lending platform for business owners and sole traders, with over 100 lenders offering business loans on their panel. Capitalise matches businesses looking to grow with lenders looking to invest via their online platform; giving business owners control over who they work with and easing cash flow issues. Dains specialises in working with owner-managed business, small companies and multinational clients who are ambitious for growth. It recognises every business is different, whatever its size, and delivers a full range of services wherever and whenever they’re needed. With local offices across the Midlands, Dains is committed to ensuring clients get the best service from a dedicated team. An independent, owner-managed construction consultancy; Decipher provides clients with support in a range of disciplines. 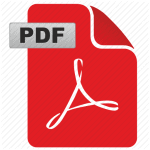 The team helps with commercial risks, procurement, disputes, and assist in dealing with delay or cost issues. Decipher’s growing team of construction professionals aims to be the first port of call for clients when faced with a commercial issue. The Institution of Lighting Professionals unites the skills of engineering, design and technology in order to deliver quality lighting for the built environment and to achieve public benefit. It provides membership support, CPD, training, education and events for those in the lighting profession and related fields to develop their knowledge, competencies, skills and careers. Kitsons is a full service legal practice based in the South West, with offices in Exeter, Torquay and Plymouth. Founded by philanthropist, banker and solicitor William Kitson in 1826, the firm has a long established history in the region and excellent client relationships. 99% of their clients rate their overall service as good or excellent, and they’re also recommended by Chambers and Legal 500. The UK’s leading networking organisation for membership bodies, associations, charities and NFP’s. MemNet provides support, insights, training and professional services to its members within these sectors. It covers topics as diverse as recruitment, strategy, CRM and digital services. Originally set up in 2008 from a small email group of likeminded professionals, MemNet has grown to include thousands of members across a wide range of organisations. Described as the ‘best performing firm outside of the top 10’ by Accountancy Magazine, Menzies has over 400 employees across Surrey, Hampshire and London. Menzies differentiates its services through its 'Brighter Thinking Approach' – comprising its technical capabilities with strategic commercial thinking to ensure clients are thinking ahead and future-proofing their businesses. Menzies is the largest UK member firm of HLB International, a worldwide network of independent accounting firms and business advisers, operating in over 150 countries. A top 100 law firm, Moore Blatch is one of the leading firms in the South of England with a team of 300+ people, and a strong reputation in corporate, commercial and dispute resolution. The firm also has major strengths in mergers & acquisitions, rural services, taxes and trusts, property, and private client and has specialist teams serving sectors such as the lending industry, land development and transport. A professional 'no win no fee' debt collection company specialising in dealing with slow-paying clients and non-paying customers. My Debt Recovery provides a fully comprehensive debt collection service to trace debtors and recover the money owed, allowing business owners to refocus their attention back to their business. Based out of London and Southampton, and regulated by the Financial Conduct Authority. 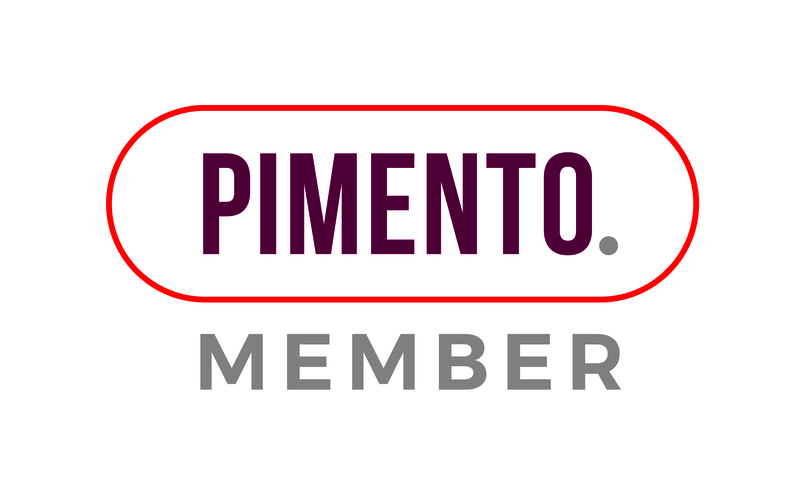 Pimento is an independent network of 200 consultants and agencies within the marketing sector. Founded in 2004 as a virtual agency network, they specialise in assembling the right marketing team to match any brief. No single marketing agency has experts in every discipline, and clients often need a variety of talent and expertise. 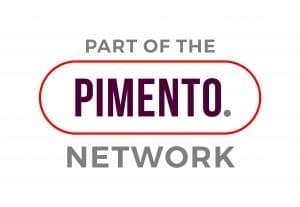 Pimento continually engage with new and emerging marketing talent, so that clients can be connected with the right agency or consultant for them. PKF Francis Clark is the South West’s leading firm of Chartered Accountants and Business Recovery experts, with seven offices across the region. The firm is due to celebrate its centenary in November 2019, marking 100 years since the first office was set up in Newton Abbot. The firm is part of PKF International, a global network of accountancy firms with over 400 offices, operating in 150 countries and five regions. PKF Littlejohn is a fast-growing firm of accountants and business advisers based in London’s Canary Wharf. It provides a full range of audit, accountancy, tax and advisory services, and is particularly well-known for working with complex clients with challenging issues in fast-moving and highly technical areas such as financial services and capital markets. It is also an important part of the PKF International network of leading accountancy practices. Award winning, top 30 accountancy and business advisory firm serving local SMEs, private clients and regional, national and international businesses. The firm has a range of specialists in many areas which combine to provide a complete, integrated offering including tax consultancy, corporate finance, strategic planning, private wealth management and employment law. Price Bailey has offices throughout the East Anglia region, London and Channel Islands. Collaboration is at the heart of our success – our trusted relationships with our partner firms are the driving force behind Escalate’s award winning business model. Growing demand for Escalate means that we’re expanding our network of partner firms – please get in touch to find out how you and your clients can benefit from joining the Escalate panel.